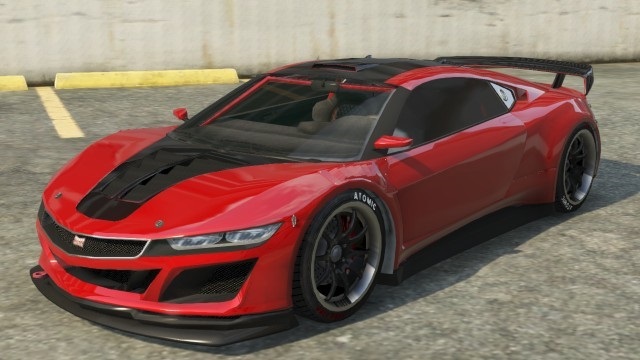 The Jester is a two-door sport car in GTA 5 manufactured by Dinka. This car is heavily based on the 2015 Honda/Acura NSX concept with curvy features and distinct Japanese styling. The Dinka Jester is made up of an aggressive front face made by the irregular shape of the headlights. There is a noticeable Japanese style on the Jester, which included many sharp curves around the car, specifically the sides and front. The rear of Jester is more sloped and rounded, giving it a contrast between the front. in GTA 5, The Dinka Jester is the first car to have its manufacturer’s name on a spoiler of the car. Like the second-generation Cavalcade, the Dinka Jester also features daytime running lights. The Dinka Jester has good acceleration and top speed, making it comparable to other sports-cars in its class. The acceleration is average, however the handling makes up for this. The steering and agility of the Dinka Jester are extremely sensitive and responsive, because it is based on a Japanese sports car, due to the fact that the Dinka Jester is one of the only all wheel drive sports cars in the game. This also allows the Jester to have exceptional handling even over slippery or wet surfaces, making this car a useful getaway vehicle even in poor conditions. 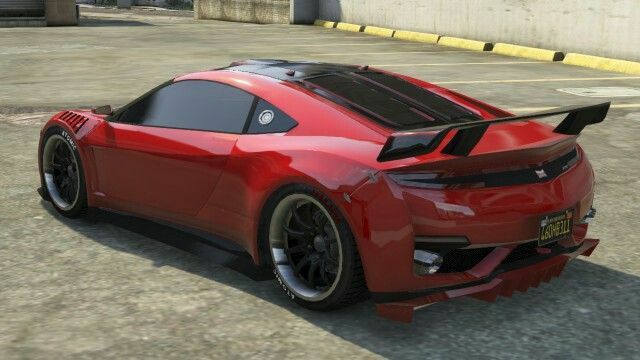 In GTA 5, The Jester shares the same engine sound as the Invetero Coquette. Bumpers, Exhaust, Roll Cages, Roof. The Dinka Jester can be selected from the protagonists’ garages in Grand Theft Auto 5 Story Mode. Can be purchased in Grand Theft Auto Online from Legendary Motorsport Website (legendarumotorsport.net) for $240,000.